**Raindates will be the mornings of October 26th and November 9th, respectively. Holiday cards are custom, press-printed, two-sided, 5×7 and come with white envelopes. Need to order more cards? Additional cards are available in 24 count. Custom return address labels to match your cards are available. Beautiful die-cut, folded and trifold custom holiday cards are also available, just ask! Contact sara@sarategman.com for a price list. 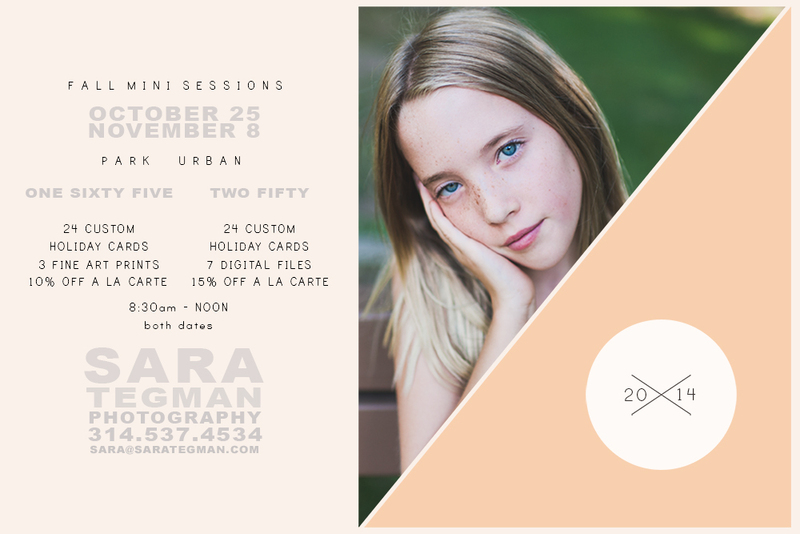 **Due to time constraints, mini sessions are available for family and child sessions, please contact sara@sarategman.com or 314.537.4534 for newborn sessions and parties larger than 6 people.